The RBA6 series of DC/DC converters offers 6 watts of output power in a through hole, chassis mount, or DIN Rail mount package. This series consists of isolated and regulated dual and single output models with a wide 2:1 input voltage range. Features of this series include high efficiency, isolation voltage of 1500VDC, and protection against input under voltage and output over voltage, over current, and short circuit conditions. This series has IEC60950, UL60950, and EN60950 approvals and is RoHS compliant. Voltage Accuracy: 5%-100% Load: ±3% Max. 0%-5% Load, ±5VDC Output: ±5% Max. 0%-5% Load, Other Outputs: ±3% Max. Notes: 1. 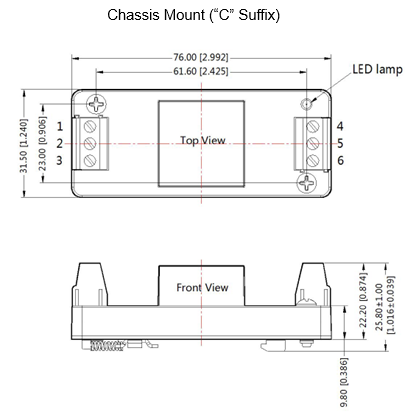 Chassis mount and DIN rail mount options are available for this series. To indicate Chassis Mount, add “C” suffix to model number Ex. RBA6-12S05C. 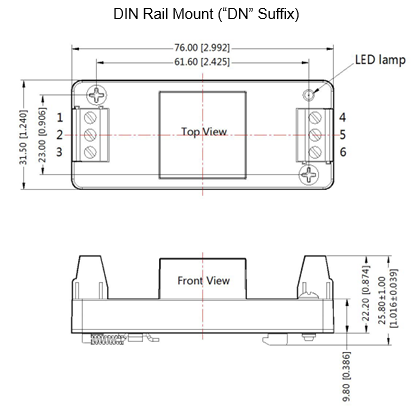 To indicate DIN rail mount options, add “DN” suffix to model number Ex. RBA6-12S05DN. 2. Efficiency is measured in nominal input voltage and rated output load. 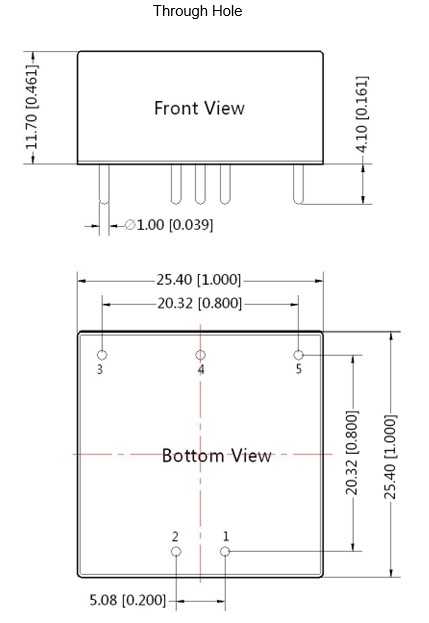 Due to input reverse polarity, chassis and DIN rail mount models minimum efficiency greater than Min-2 is qualified. 4. 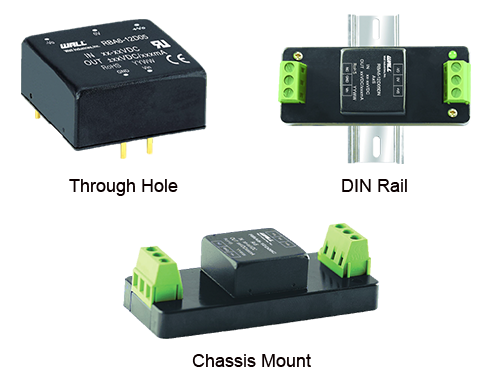 Due to input reverse polarity protection function, minimum value and input voltage range and starting voltage is higher than 1VDC DIP package. 5. 0%-5% load ripple & Noise is no more than 5% Vo. Ripple and noise are measured by “parallel cable” method. 6. This series of products uses reduced frequency technology. The switching frequency is test value of full load, when load is reduced to below 50%, switching frequency decreases with decreasing load. 7. Recommended unbalanced degree of the dual output module load is ≤±5%. If the degree exceeds ±5%, then the product performance cannot be guaranteed to comply with all parameters in the datasheet. Please contact factory for more information. 8. Customization is available, please contact factory.